I’m a Celebrity... Get Me Out of Here! 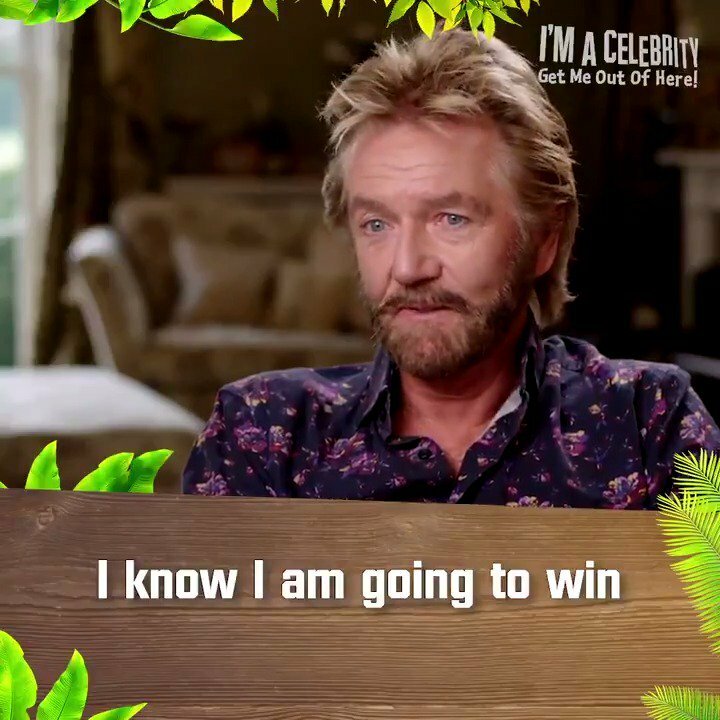 star Noel Edmonds has revealed a surprise reason for why he agreed to head into the jungle. The former Deal or No Deal host says it was one of the show’s presenters, Declan Donnelly—who is hosting this Holly Willoughby—that planted the seed. But it was his own son who talked him into it, despite Noel’s fear of heights and confined spaces. The broadcaster, 69, is a late entry into the jungle, and says that Harrison, 15, put him under “considerable pressure”. He said: “It actually started as I was filming with Dec earlier in the year and he said ‘Ah you should do the jungle’. “He put me under considerable pressure. The reason why I’m going to have this amazing experience is down to Harrison. I just love the idea that I’m going to live out in the natural environment. Current favourites to win the show are Harry Redknapp and John Barrowman, both at 7/2. Noel's odds to win the show have already shortened to 10/1 (from 20/1) with the bookmakers (see below). He says that if he wins, he will retire from television. "I know I am going to win because if the public vote me to be King of the Jungle, I promise to retire." Speaking of his worries before he enters the jungle, Noel reveals: “I am not great in confined areas. For a helicopter pilot it is strange to admit I have a fear of heights. You can overcome phobias when you treat them logically but I may well succumb. Admitting he hates confrontation, Noel says he is brilliant at domestic chores.